Holiday Palace proudly offers the most luxurious high stakes slot experience in Cambodia. Denominations range from THB 1 all the way up to THB 1,500 games. And jackpots go as high as THB 4,224,811 with progressives that reach for the stars! 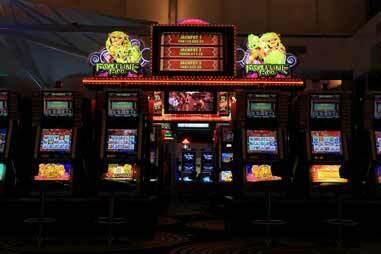 With over 1,000 dazzling slot machines, the resort brings together a selection of the newest and most popular electronic gaming machines worldwide. Our collection features more than 150 themes and game titles to choose from. Bets in each machine are in three price tiers. Slot machines take either cash or membership card and offer a variety of jackpots, including linked Progressive Jackpots, in which amounts increase as a game is played. Mega Jackpot ranges from the minimum THB 100,000 to millions.